Good morning dear of the World! 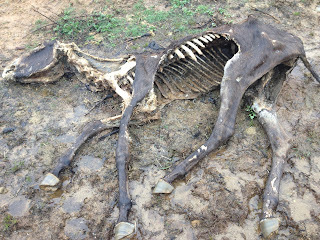 Yesterday, I visited to HOSOKAWA farm in Iitate Village of Fukushima prefecture Japan (http://en.wikipedia.org/wiki/Iitate,_Fukushima) to know the effects on horses as reported before. 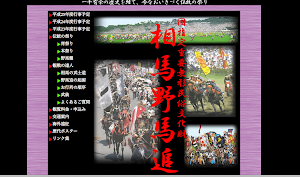 As you may not know, all people of Iitate village were forced to be evacuated for other place by Japanese government at just after the 3.11 (http://en.wikipedia.org/wiki/3.11). However Mr. Hosokawa as the president of Hosokawa farm is still staying alone in the village to care his horses and cows by himself. His name is Tokuei Hosokawa. "Tokuei" means advancement of virtue in Japanese, so his name should really be respected. The measured score are showed in below. All score are showed as microSV/h. If the each score was higher than 0.3, we have risk to be suffered with cancer, and if it was higher than 0.5, we have to evacuate as soon as possible! 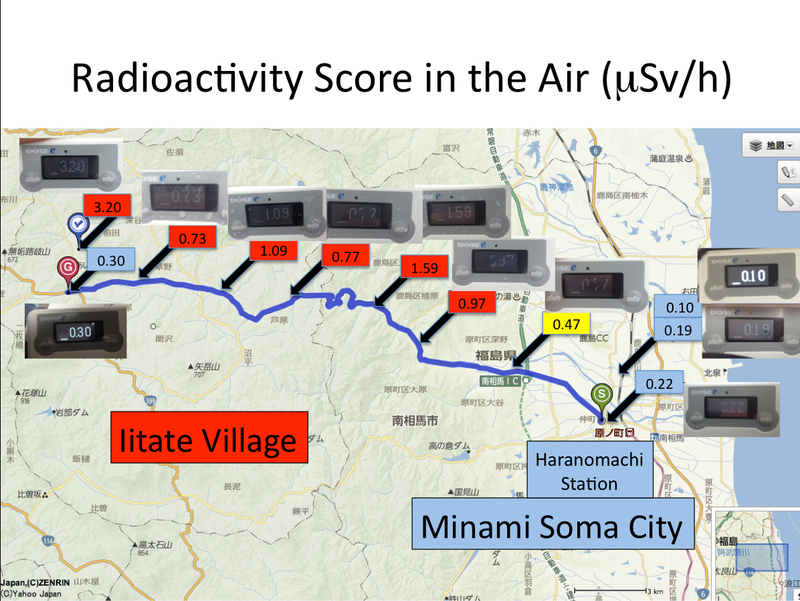 To visualize such differences of the radioactivity on each area, I have shown all the score on the map of Fukushima prefecture eastern area. As you must know from the map, Iitate village must not be habitable zone not only for people, but also for animals. 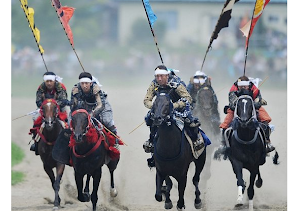 Mr. Hosokawa were serving over 60 horses for Soma Nomaoi Festival every year. And also, he is the third generation of the family as the president of the farm. The story about the misery section 1 is the end. 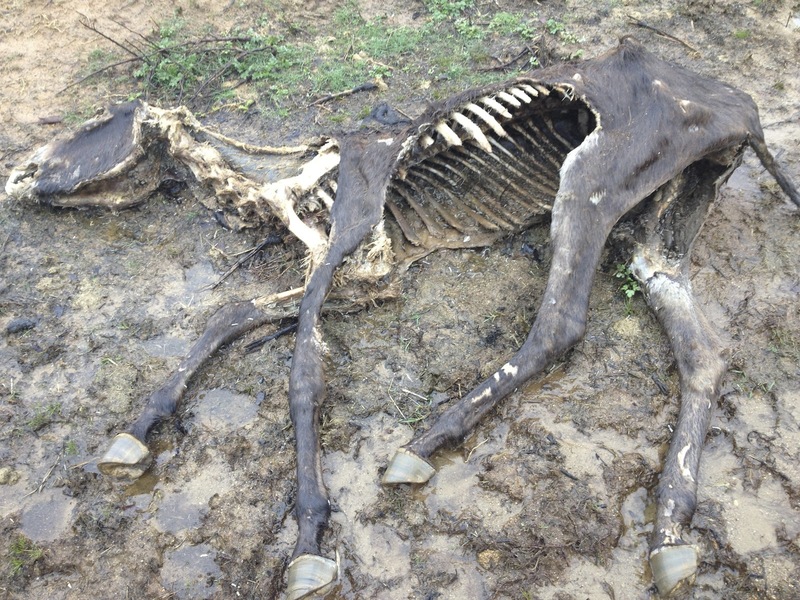 As the next, I would like to show some pictures of dead horses by the pollution of radioactive materials. However, they are quite terrible, so I'm really worrying about the validity to show, even he has allowed to open such information to the World. And finally, I will show some interviews of Mr. Hosokawa for the people staying in other places. Tokuei Hosokawa in Hosokawa Farm. See you again!! May The Force Be With You!! (http://en.wikipedia.org/wiki/Star_Wars). Hayato Minamoto as a biologist, a scientist, and a horse rider. What is Life? (http://sammyclickpresswhatislife.blogspot.com/)is my first blog about Biology, please visit to the blog know What Life Is?